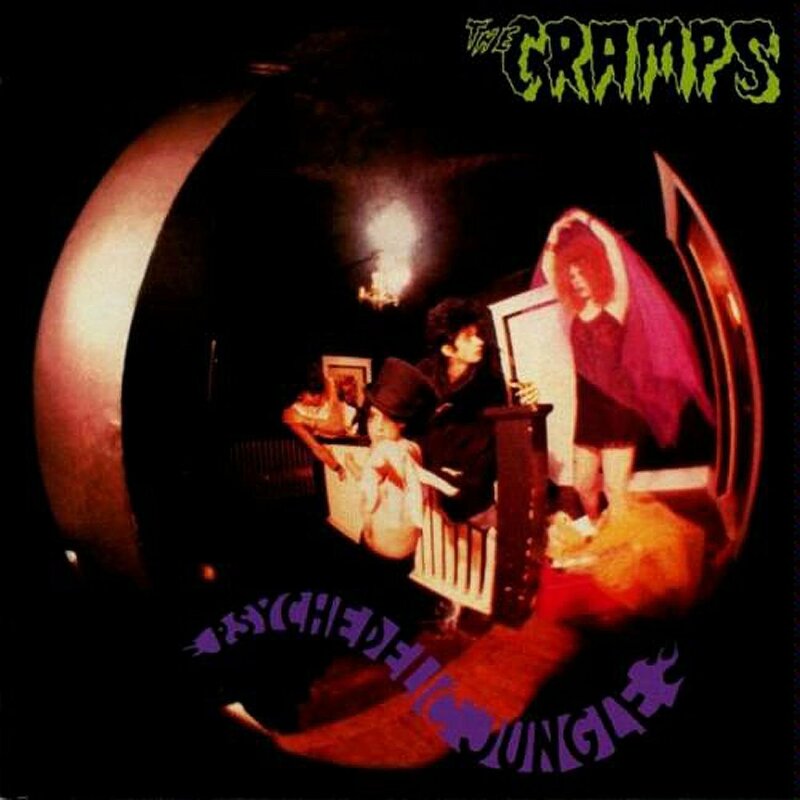 Psychedelic Jungle is the second LP by the American garage punk band The Cramps. It was released on I.R.S. Records. It was engineered by Paul McKenna and recorded in January 1981 at A&M Studios. The Cramps themselves take over the production this time out, resulting in a cleaner, crisper sound (especially when it comes to Knox’s drums) that isn’t quite as wired, for better or for worse. As commanding showmen, though, the quartet’s style comes through big time, with Interior throwing in appropriate yells, yipes, and other sounds where appropriate; his antics at the end of “Goo Goo Muck” are especially gone. If anything, the moodier strutting throughout increases the creepiness of what’s afoot; if things aren’t psychedelic in the commonly accepted sense, it’s certainly not easy listening. Interior sometimes sounds almost normal, but with the sense that something strange is lurking just around the corner, and Ivy is still one of the best guitarists around, her snarling reverb worth a thousand fret-shredders.